We welcome everyone interested in preserving, improving and participating in activities at Cowan Lake State Park. Thousand Trails is a beautiful campground with 168 campsites, two cabins, and two cottages. Amenities include three fishing lakes, swimming pool, 3ft wading pool, and hot tub. Our farm has been in operation as a pheasant hunting preserve for 60 years. We have 640 acres in the preserve and offer pheasant, chukar, and quail hunting as well as shooting clays. Aerial's Athletics, LLC has been offering quality instruction to the area since 1994. Aerial's offers classes for boys & girls ages 2 through adult in acro, cheer, dance, gymnastics, and tumbling. We provide more than 100,000 square feet of climate-controlled riding space, making our indoor arenas among the largest climate-controlled facility for equestrians in the country. The 797 Elks Lodge and 797 Elks Golf Club Inc. 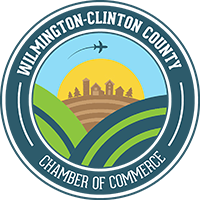 The Wilmington Elks 797 Golf Club is an 18 hole public golf course offering adequate practice facilities and friendly course conditions.